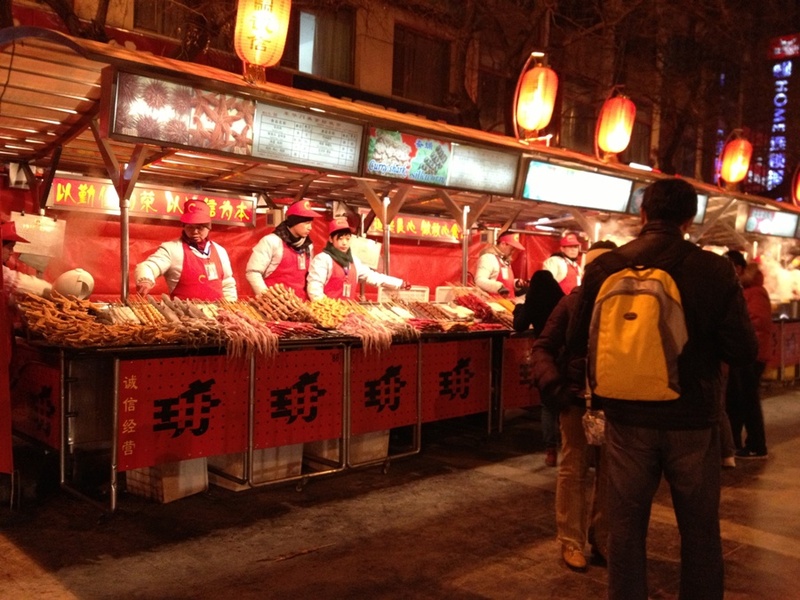 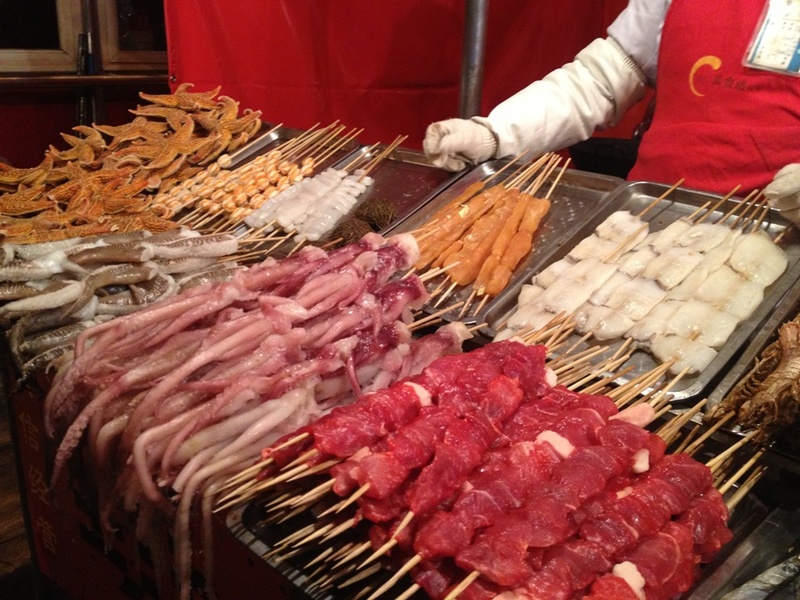 Wangfujing night market is open everyday from 6 pm to 9.30 pm. The long night market has so many stalls selling more than 50 kinds of food, not only Chinese food like Beijing roast duck, noodle soup, pork dumplings but also seafood, meat kebabs, desserts like fruits on sticks, and the wide selections of extreme snack that you may find it a little bit unusual like scorpions, silk-worms, starfish, snake, fried spiders even testicles on sticks. The boys were jumping excited when they saw all the extreme food at the night market. "Let's try fried testicles ! "said Salim very enthusiast, even though in the end he didn't try anything but chocolate he brought from hostel. 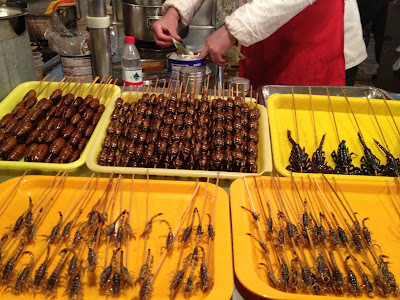 Walid pointed to snake and scorpions while talking to the stand owner in Mandarin mix with English and French when he got frustrated if the stand owner didn't understand his Chinese. 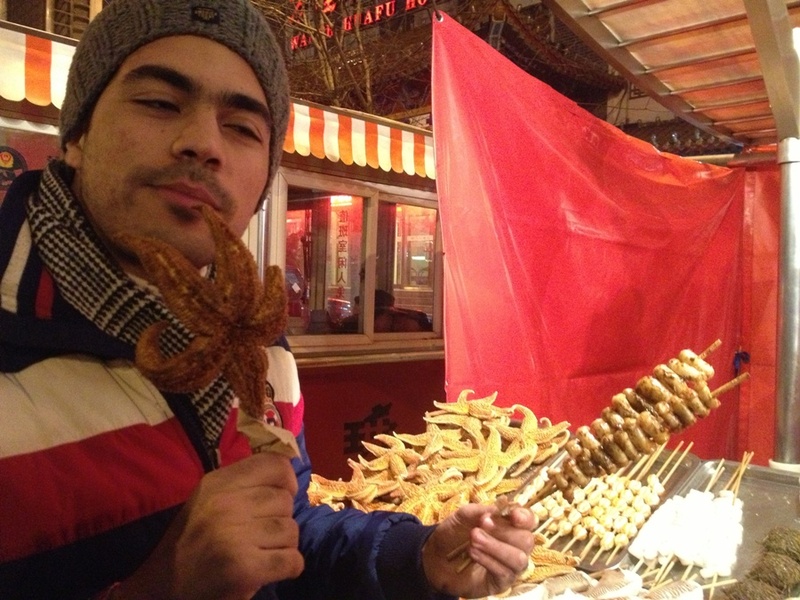 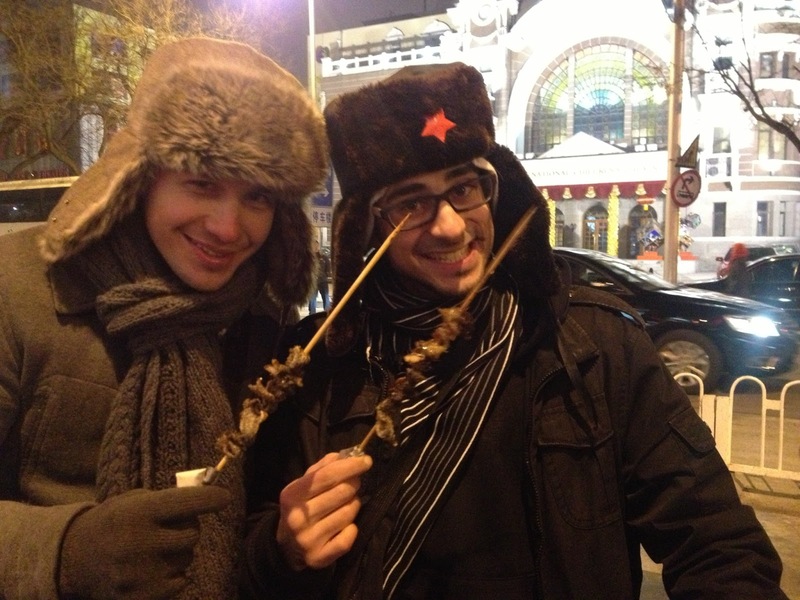 Salah, Philippe and Jukka decided to try the fried starfish and silk worms - ohh just the kind of food I will never touch. 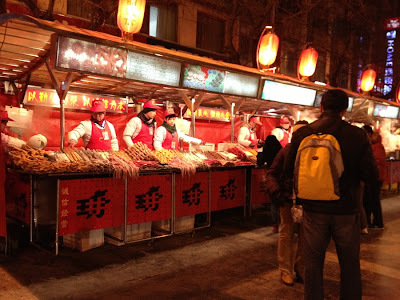 To make you easier recognizing the food’s name, each stalls has signs with both English and Chinese food’s name and price, very well organized and it’s pretty safe and convenient to eat there since they put the protected line that separates the main road from the food stalls. 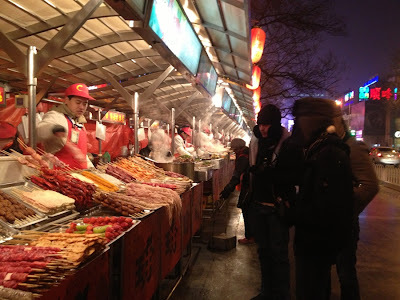 Remember to always bargain before you decide to buy. 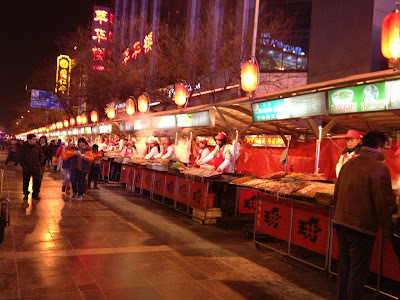 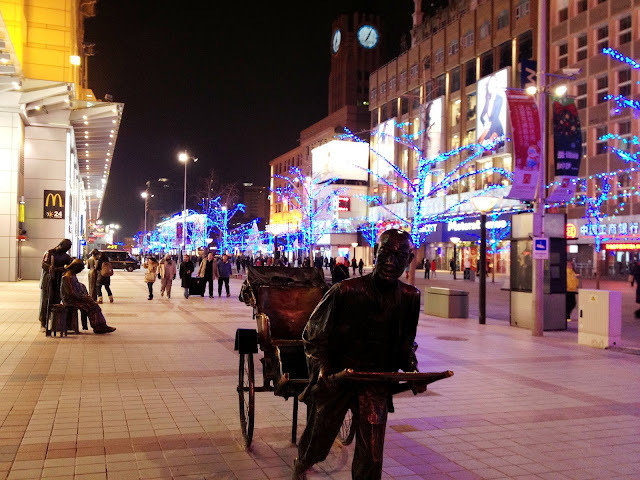 To continue the evening walk after the night market and those extreme food, the next thing you’ll see is the big pedestrian street of Wangfujing, also well known as one the famous shopping streets in Beijing. Most of the shops and restaurants there close at 9pm. 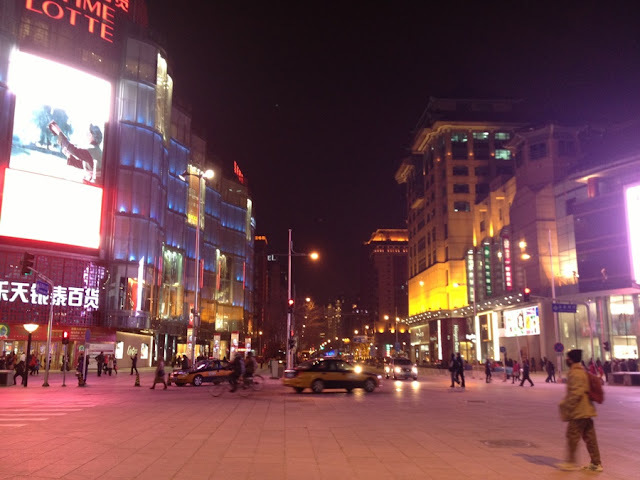 Either you'd like to burn some cash on clothes at Forever21 shop, try some more Chinese food, or just simply walk enjoying the colorful lights and the crowds, Wangfujing at night would give you a totally interesting scenes that only begins all the fun of your little adventure in Beijing. 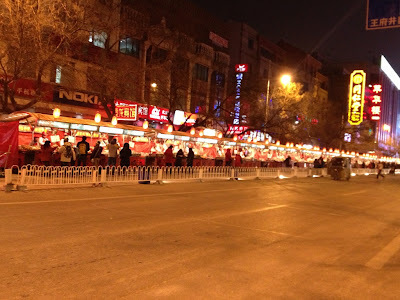 Coming up next : Qianmen street, Beijing, and Shanghai ..